French art masterpieces have been renamed after their long overlooked black subjects in a ground-breaking new Paris show on the representation of people of color in art. 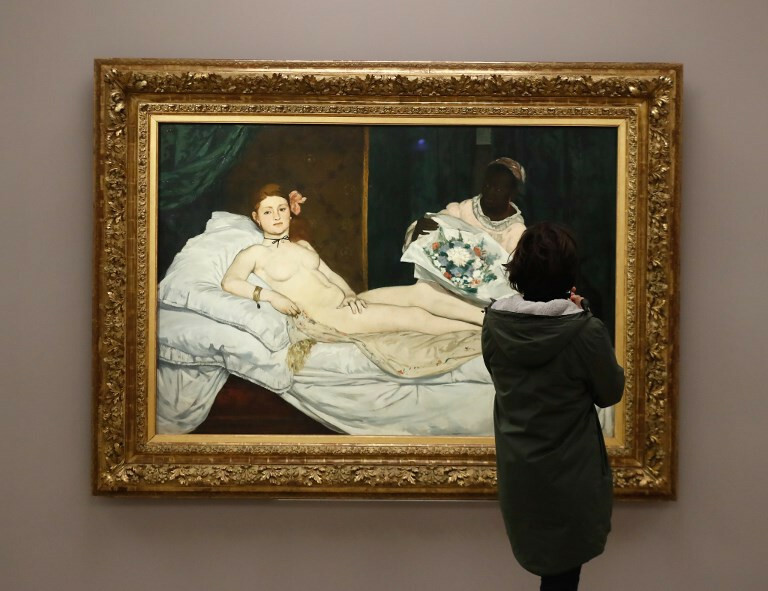 Manet's "Olympia", the scandalous painting of a naked reclining prostitute that marks the birth of "modern art", has been rebaptised "Laure" after the woman who posed as her black maid. Several other major works have been similarly renamed after curators of "Black Models: From Gericault to Matisse" -- which opens Tuesday at the d'Orsay Museum -- turned historical detective to hunt down the identity of their sitters. But the influence of people of color has been eclipsed from art history by racism and stereotyping, Murrell said. Murrell and her fellow curators have revealed the subjects' real names in new titles for the show, "which would have been the case if they had been European", she added, with the historic titles relegated to the second line. The painter's favorite model, an art-loving Haitian called Joseph, the heroic figure on the raft, finally gets his place in the limelight in the show. Even as the US dancer Josephine Baker became a massive star in 1920s France, black models were still largely nameless and labelled as racial types, including those who sat for the jazz fan Matisse, who had traveled to New York to soak up the Harlem Renaissance of black culture.